This entry was posted in Blog, New Whisky Releases and Bottlings and tagged Blair Athol, caol ila, Craigellachie, Directors' Cut, Douglas Laing, Laphroaig, Old & Rare, Port Ellen, Provenance, Rosebank on 22 October 2011 by Mike. Provenance Craigellachie 1999 12 Years Old: Another rare sherried Craigellachie from Douglas Laing. This has a couple of years on the previous expressions and that has helped develop the sherry qualities in to rich toffee notes. Old Malt Cask Rosebank 21 Years Old (DL Ref - 0000): This is another great Rosebank from DL. This is the second cask os 21 Years Old from 1990 that they have released this year. Old Malt Cask Port Ellen 1983 28 Years Old: Port Ellen is getting ever rare and the price reflects that. We suspect DL will move all future releases up to Old & Rare soon so they will get even more expensive. That said this is a great example which is more peated than some. Old & Rare Caol Ila 1980 30 Years Old: This is a prime example of an old Caol Ila. 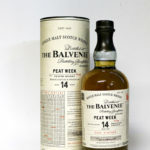 The smoke is more subtle on the palate allowing lots of sweet barley to come through. Old & Rare Laphroaig 1986 25 Years Old: I love old Laphroaigs and this one is no disappointment. The smoke has settled but it's still there - more prominent than whiskies of the same age from its contemporaries, and there is lots of citrus and honey emerging through. To see all our whiskies from Douglas Laing click here.